Secluded and exclusive, Lions Bluff is suspended above an ancient elephant migratory corridor, with stunning panoramic views extending across the Lumo Community Sanctuary and the Tsavo eco-system to the majestic Mt Kilimanjaro. Lions Bluff Lodge has three types of rooms all taking advantage of the incredible vista stretching over the grass plains of the Lumo Conservancy.Eleven of the rooms are built out from the hill on wooden stilts,with wooden floors, canvas walls and traditional coconut palm thatch roofs, one is built in the same style but with ferrous cement walls and private canvas walled veranda. The most recent addition is a traditional stone walled cottage with two bedrooms whose exterior walls are painted with the red soils of Tsavo, the interior rooms have high ceilings to keep the room cool and a shared long veranda with a coconut palm thatch roof. Sleep in a hand-made four poster bed in crisp cotton sheets and awake to Africa’s incredible sunrise ready to enjoy a game drive or bush walk before a hearty breakfast ..perhaps in the bush.. and you have begun to conjure up the magic that is Lions Bluff. Sleep in a luxury tented camp and awake to Africa’s incredible sunrise ready to enjoy panoramic views of the Tsavo wilderness. Located on the same hill as Lions Bluff, is a the new Leopards Lair tented camp, offering an exciting wilderness escape and an untamed safari experience. Camping in the bush must be the ultimate getaway experience. Lions Bluff owns the site and welcomes you to make use of the activities which are on offer from Lions Bluff in Lumo Wildlife Community Sanctuary. The campsite provides: water, kitchen room, shower, toilets, wood fuel, leveled areas for your tents, use of the sanctuary and access to the stunning Lions Bluff Lodge. Explore surrounding historic first world war sites. There is a fort to the side of the main road on the approach to Lions Bluff Lodge and Mwakitau Hill, where the remains of an encampment can be found, and Mwakitau war cemetery is 10km from Lions Bluff. Full cooked breakfast served at a scenic location in the bush, often accompanied by campfire and hurricane lamps. Nothing is quite so essentially Safari as the traditional bush breakfast. Located at an especially-chosen site close to the lodge, your breakfast site is chosen for its stunning location where you will experience a delicious freshly-cooked breakfast in the heart of Africa’s bush. Once out of the vehicle, the rangers give you a quick brief; mostly to determine out your interests. The rangers, all brought up in and around the Sanctuary are knowledgeable on the Birds, insects, tracks, signs, flowers and plants. Game drives usually start with a cup of tea at sunrise returning for a late Breakfast and again after afternoon tea at 4pm returning as the sun sets near Kilimanjaro. 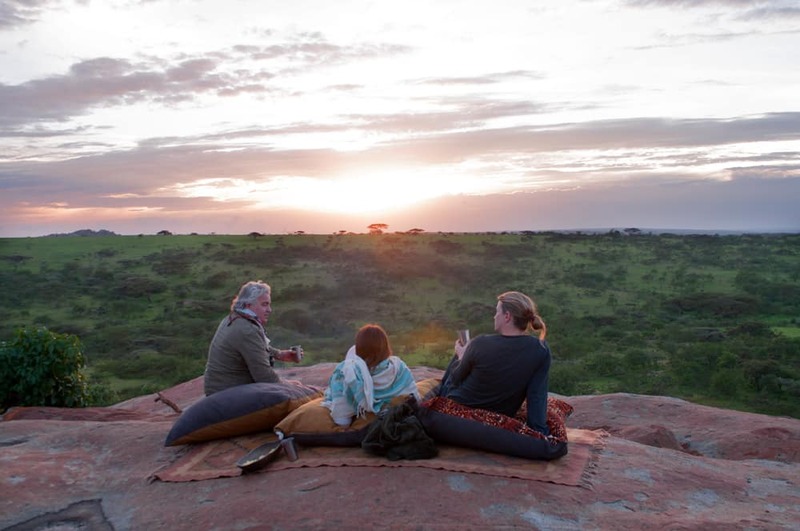 You can also choose to have sundowners in the Sanctuary at one of several stunning view points. A uniquely specialized activity, which is usually not permitted within the boundaries of the national parks and reserves, a night game drive is the ultimate safari luxury. Leaving the lodge either before or after dinner, you will be provided with warm ‘shukas’ (Maasai wraps); before setting off to discover the creatures of the night. With over 1,070 species of birds, Kenya has the second-highest country bird list in Africa, the area around Tsavo West boasts 600 recorded species. Ranging from giant herons to tiny sunbirds, the diversity of African birdlife is startling in its colour and vibrancy. The Lions Bluff area boasts a number of endemic species, such as the globally threatened Taita Thrush, Taita White-eye, Taita Apalis, Abbott’s starling and the Southern Banded Snake Eagle. Drinks served in scenic location as the sun goes down – typically between 6-7 pm. The ‘sun-downer’ is an essential part of safari life and dates back to the time of the great 1920s ‘white hunter’ safaris of Bror Blixen and Denys Finch Hatton, when elegant cocktails were served while guests watched the magnificent spectacle of the African sunset. IS IT CHEAPER TO BOOK A HOTEL DIRECTLY OR THROUGH A TRAVEL AGENT? PHOTOS: AIRCRAFT FROM MASAI MARA CRASHES IN MAKUTANO FOREST. 10 ROMANTIC AND AFFORDABLE PLACES TO SURPRISE YOUR VALENTINE IN KENYA. LENTORRE LODGE LAKE MAGADI - LUXURY KENYAN LODGE. 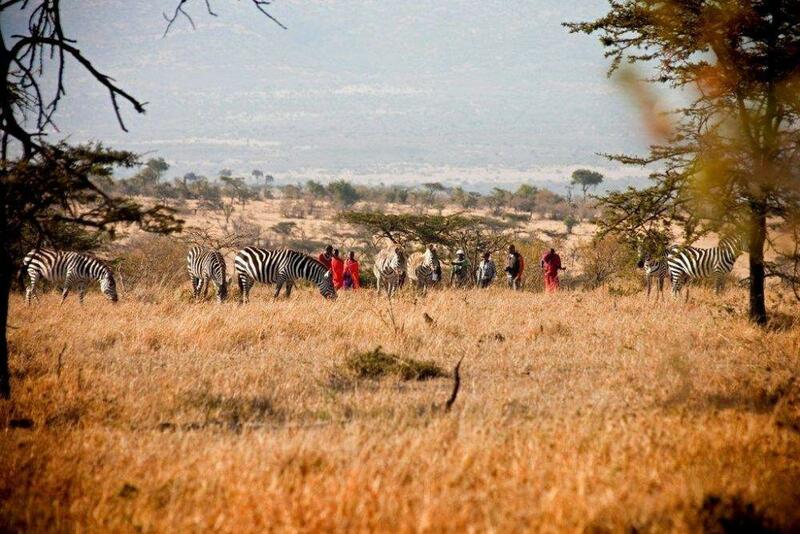 CIRCUIT SAFARI OFFERS: MASAI MARA, NAIVASHA, NAKURU, AMBOSELI. BUDGET SAFARI DAILY DEPARTURES. EASTER LODGE SAFARI OFFERS 2019. 2019 FAMILY EASTER AMBOSELI OVERLAND TRUCK SAFARI.